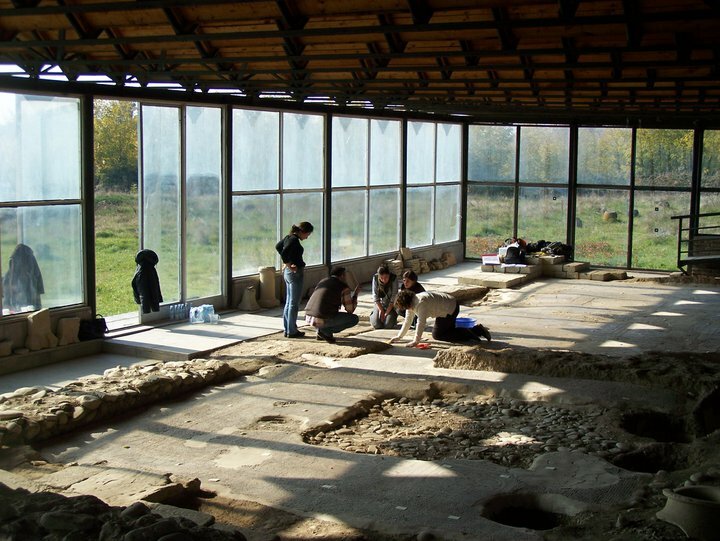 Excavations in the 1970s at Dzalisa, near Georgia’s old capital of Mtskheta, revealed the remains of a Roman town dating to the 1st-4th centuries AD. 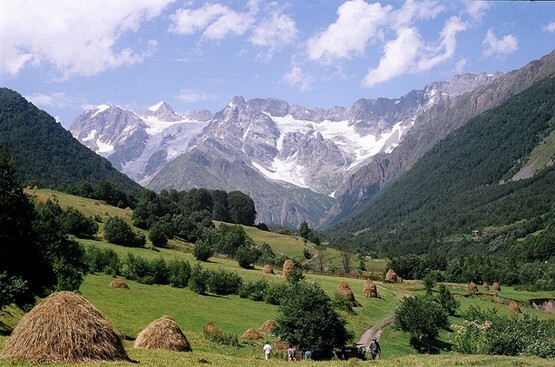 It is considered to be one of the most significant archaeological sites of the Classical period in the kingdom of Kartli (Iberia) and has been identified as Zalissa, a town mentioned by the 2nd century AD Greek geographer Ptolemy (Claudius Ptolemaeus) in his “Geographical Handbook”. One of the most impressive discoveries so far is a 2nd century A.D. 12 color mosaic depicting Dionysus, the god of the grape harvest, wine-making and wine, and his wife Ariadne, the daughter of the legendary Minos and Pasiphaë. 2nd C. A.D. Dionysus Mosaic at Dzalisa. Photo courtesy of Chateau Mukhrani. Streets and squares paved with brick slabs, baths and a water supply and sewage system have been uncovered in the town and are evidence of a sophisticated urban life in the Iberian kingdom. Dzalisa Archaeological Site. Photo courtesy of the Georgian National Museum. 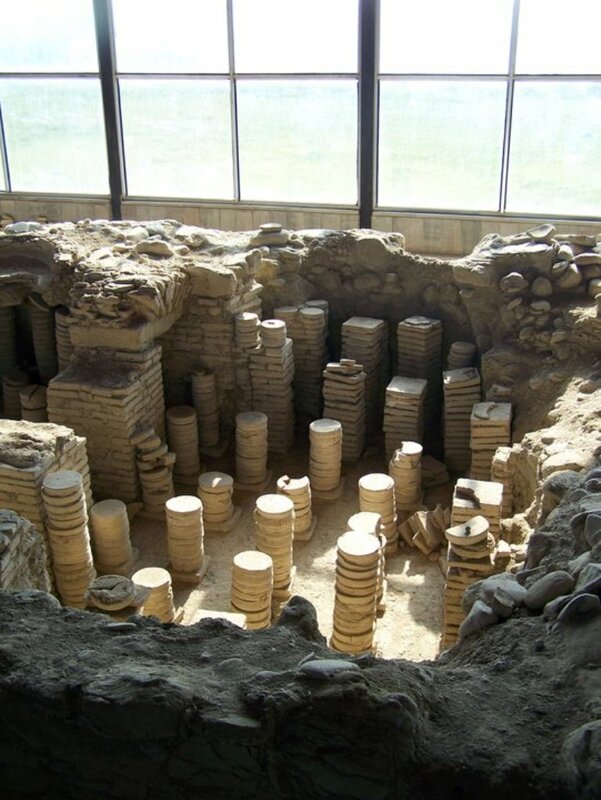 The site contains the remains of a palace that had up to 30 rooms and was heated by a hypocaust that circulated warm air throughout the structure. The palace also had a swimming pool of 800 sq. m, which is unique for Georgia. 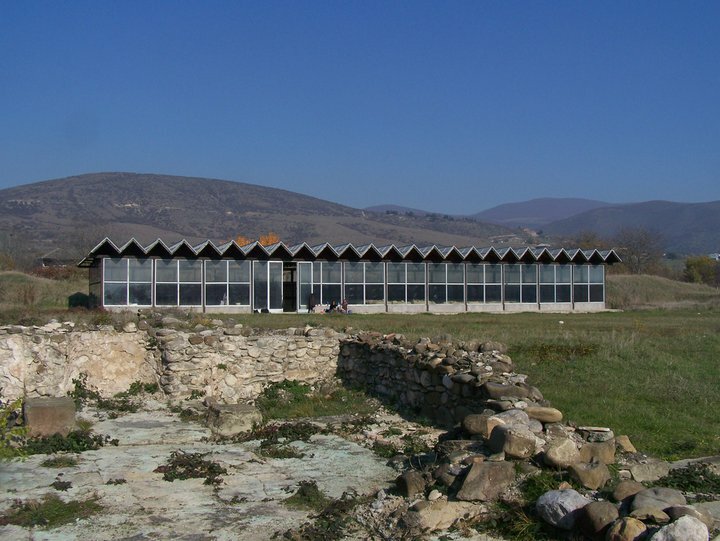 Hypocaust at Dzalisa Archaeological Site. Photo courtesy of the Georgian National Museum. Beautiful mosaic floors, similar to those found in the Bichvinta basilica (Abkhazia) and in the Roman bath in the village of Shukhuti in Guria, Western Georgia, have been uncovered. 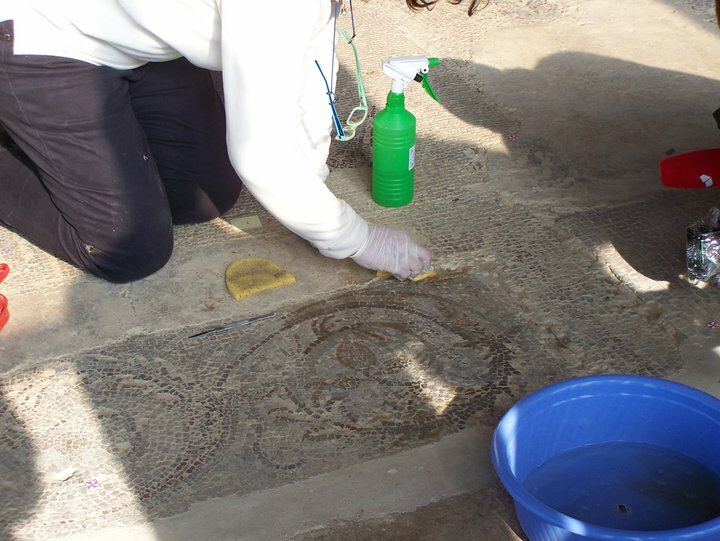 Uncovering a mosaic at Dzalisa Archaeological Site. Photo courtesy of the Georgian National Museum. Excavations continue and the Georgian National Museum is working with partners to develop the site for tourism. Protective structure at Dzalisa Archaeological Site. Photo courtesy of the Georgian National Museum.